The long cold days of winter are officially here. With that brings mittens, boots, hot cocoa, and of course cinnamon buns. Mmmm, nothing beats the pleasant sight and fragrant aroma of warm cinnamon buns cooling on the counter. 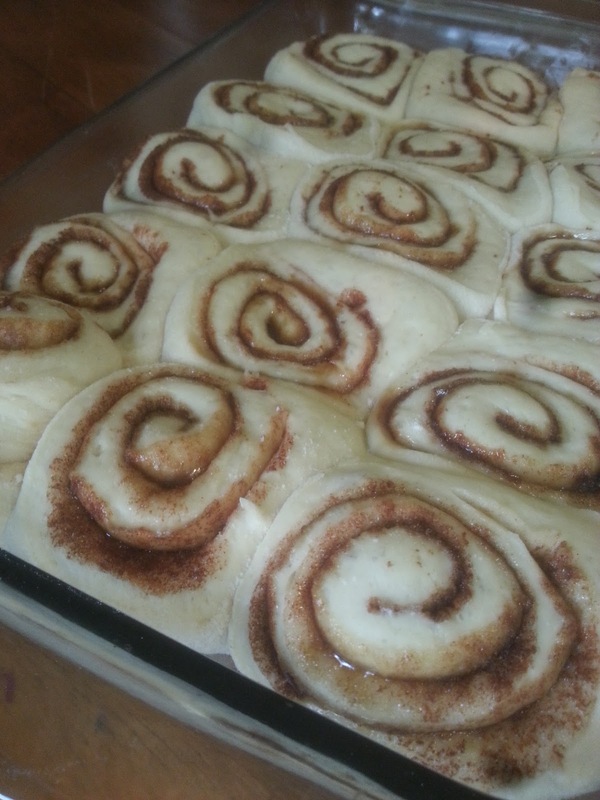 Their perfect little swirls just calling your name. But, how does one achieve those perfect swirls? It's really not too difficult, and once you try making them once, you will definitely get the hang of it. 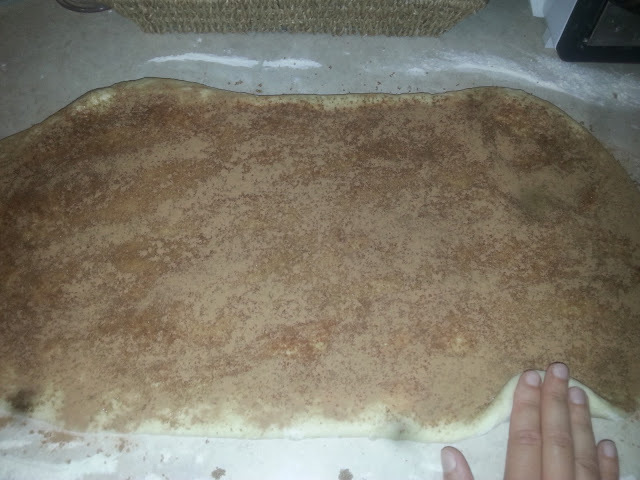 - Cinnamon roll dough. I used this recipe HERE. Okay, let's get started. First off, you will need to prepare your dough using your favorite recipe. I used a bread machine recipe. Once your dough is ready, turn it out onto a clean, floured surface. I used my kitchen counter. 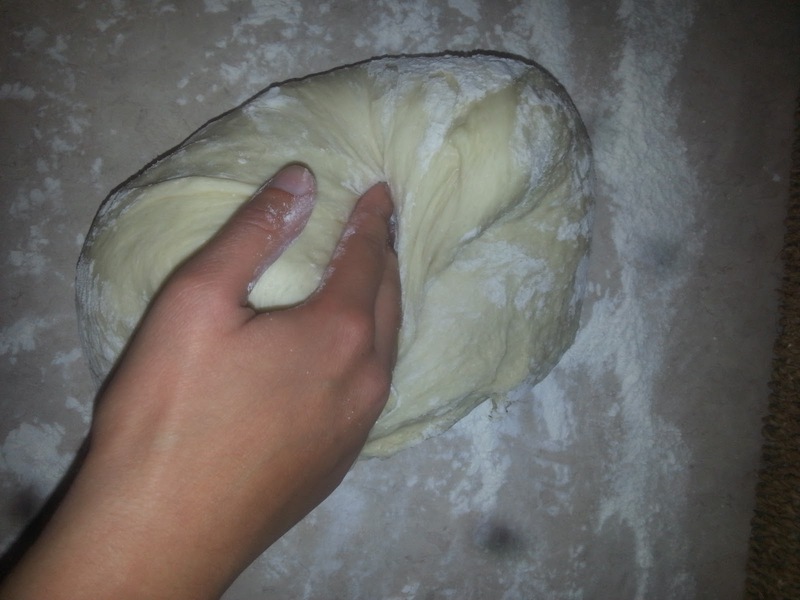 Punch down the dough and knead a few times to remove air pockets. 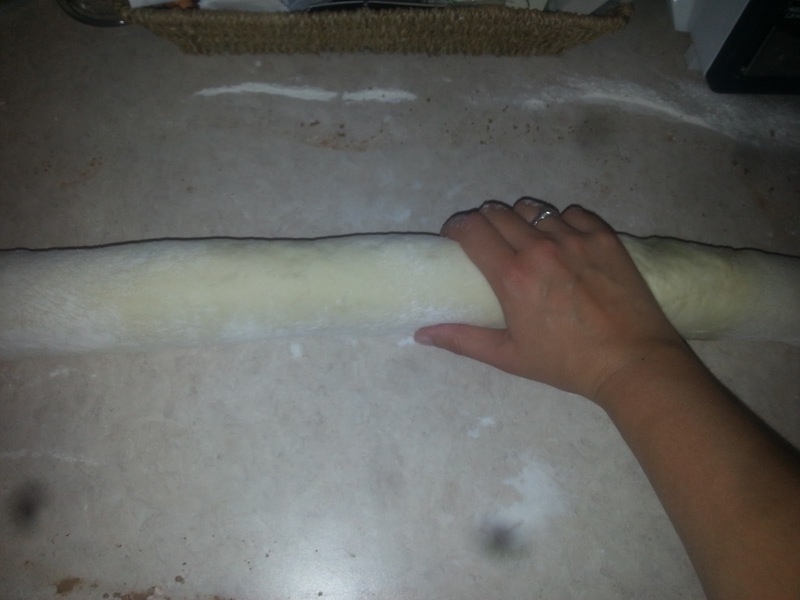 Using a well-floured rolling pin, begin to roll your dough into a long rectangular shape. Continue rolling until you have achieved about 1/4 inch thickness. Don't rush this step, just take your time and continue rolling. The dough is quite elastic and likes to pull back after you have rolled it out. It just takes patience and persistence. Now it's time for the fun bit. I like to use my hands for this part. Using your hands instead of a utensil minimizes the chance of tearing the dough. Take a nice handful of room temperature butter and spread it over the entire surface of the dough. 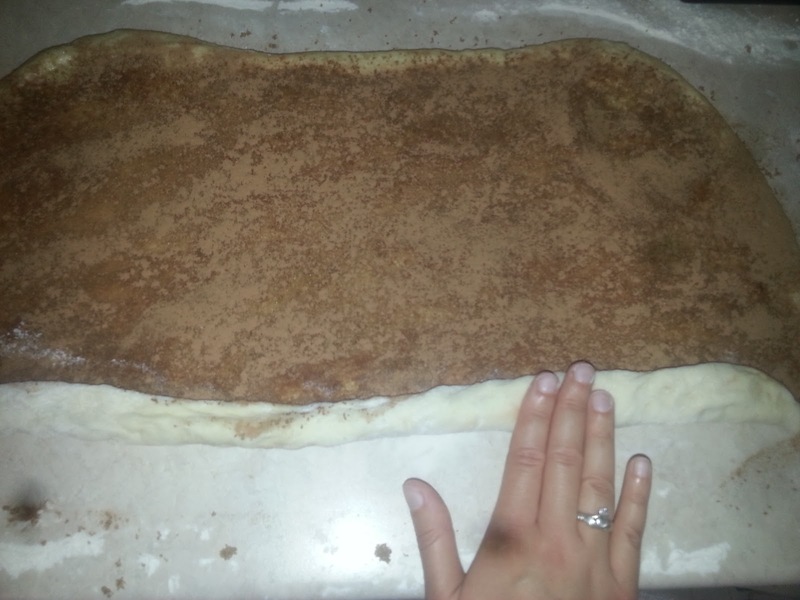 Next, sprinkle on generous layers of both brown sugar and cinnamon. Make sure that your coverage is even and that there aren't any bare spots. Now it's time to roll the whole thing up. 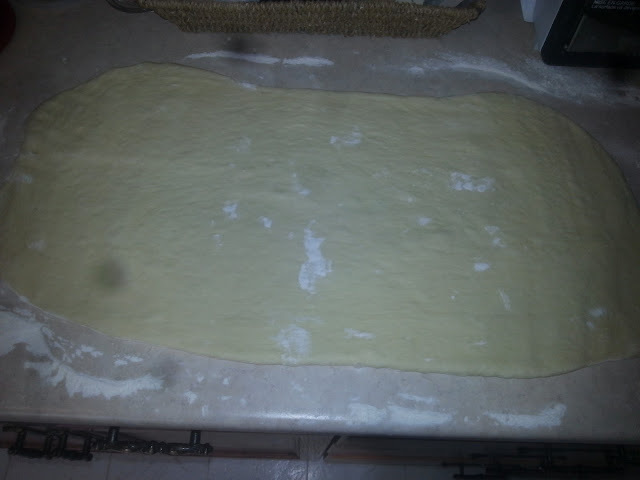 Begin rolling lengthwise, starting at the side closest to you. 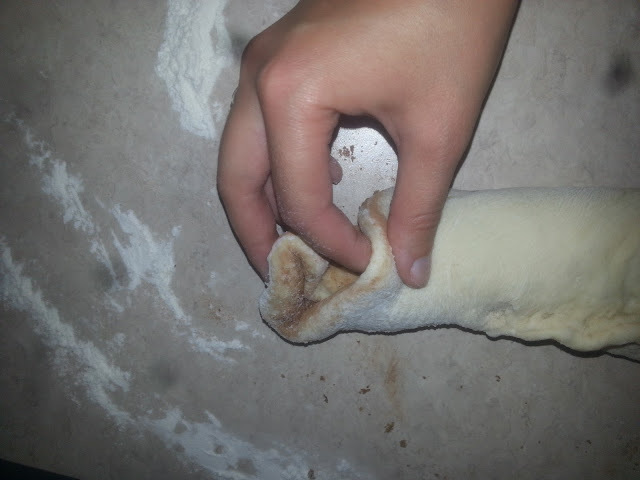 As you roll, make sure that your dough stays fairly tight. 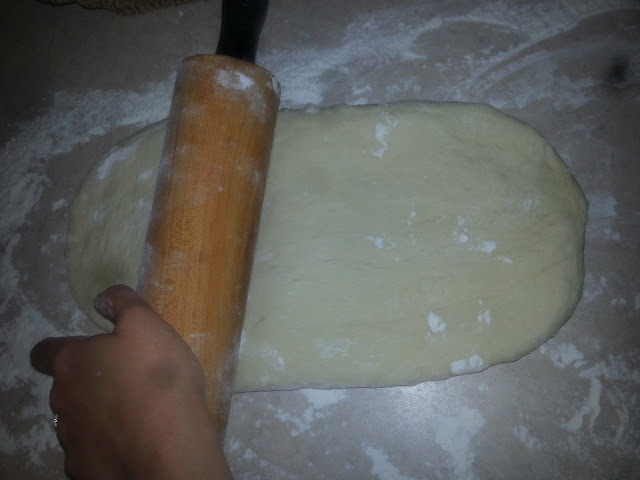 Brush off any excess flour that comes up with the dough from the counter. 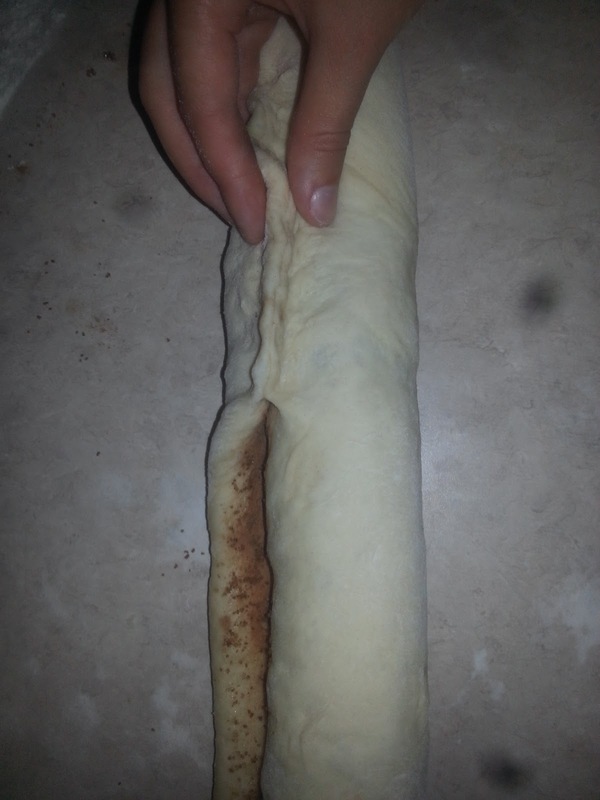 Once you have the whole thing rolled up, brush off any excess flour that has accumulated on the outside of the roll. 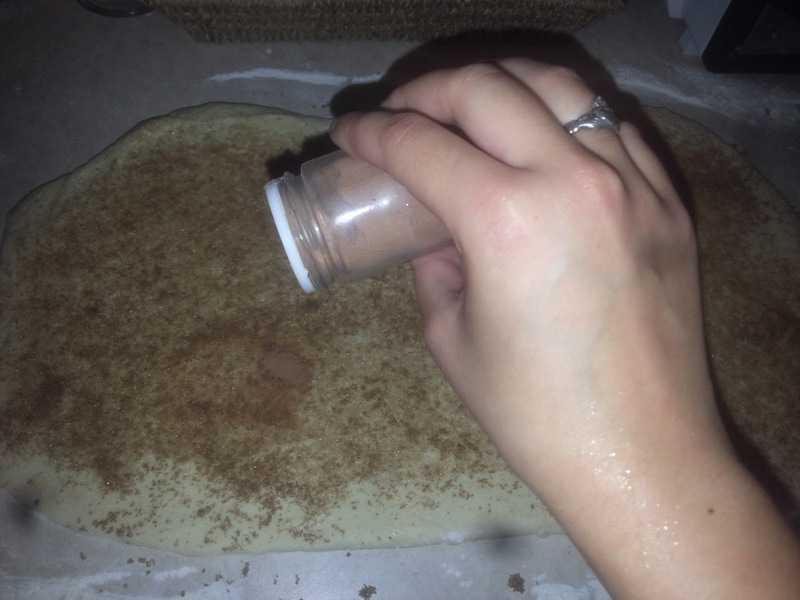 Seal the free edge by pinching it together with the dough next to it. 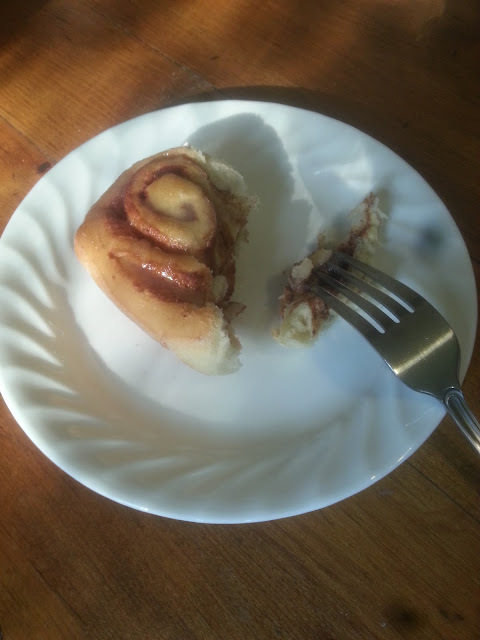 Pinch along the entire length of the roll. Tuck in the 2 ends and pinch closed slightly to keep everything inside. Gently squeeze along the entire length of the roll to make sure the size is consistent. Now, it's time to cut the rolls! You will want to cut each roll about 1-inch thick. I wouldn't recommend using a sharp knife if you're cutting on your counter top as it may damage the surface. I like to use a metal spatula, but a plastic knife like a lettuce knife would work great too. 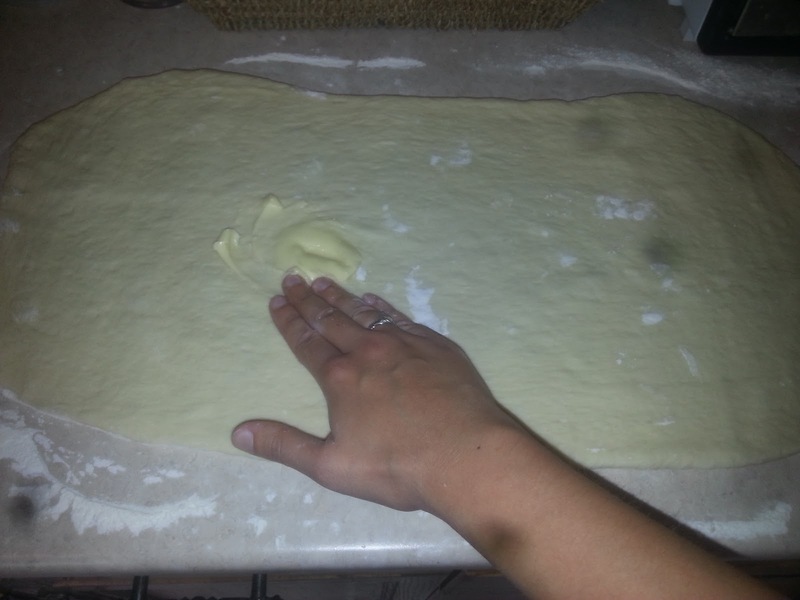 When you cut, just press your tool straight down into the dough. It will cut easily, there is no need to saw back and forth, as this may cause the tender roll to fall apart. 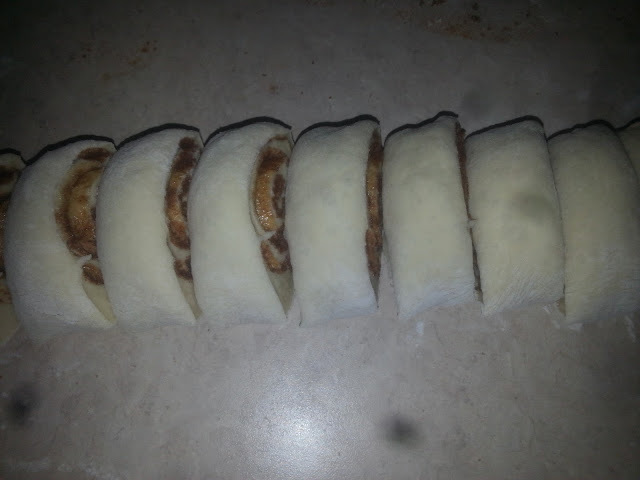 Once you have cut all of your rolls, Arrange them into a well-greased baking dish. 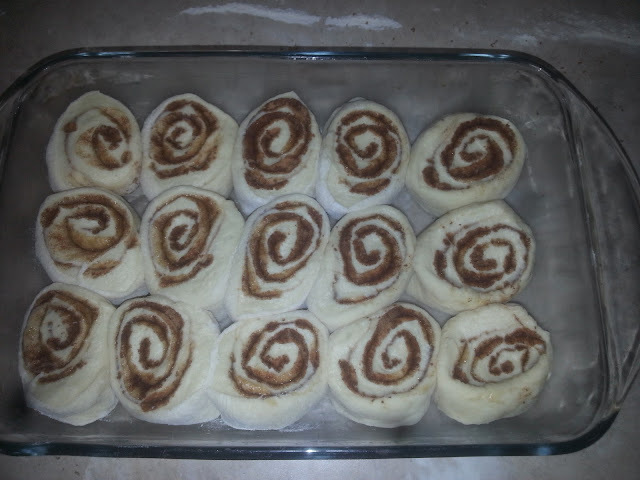 Cover the baking dish with a tea towel, and allow the rolls to have their second rise for 30 minutes. Bake according to your recipe's directions and enjoy the fruits of your labor! 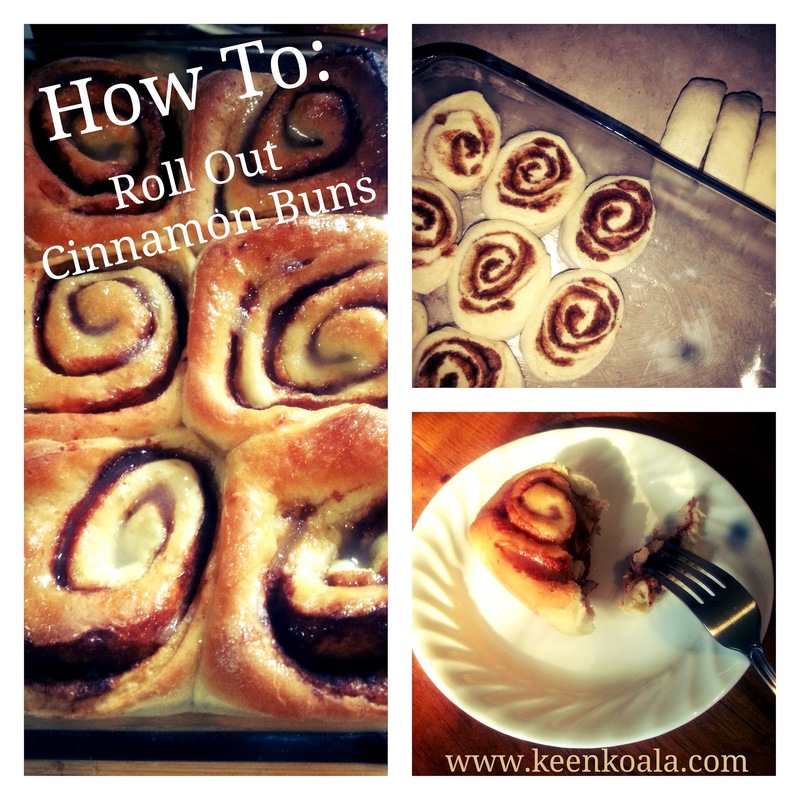 I hope these tips helped you roll out an amazing batch of cinnamon buns! Let me know in the comments below. I would love to hear from you. Don't forget to 'Like' Keen Koala on Facebook for instant access to the latest posts, exclusive content, and contests! Click HERE!